Palisades Interstate Parkway Police chief Michael Coppola, 43, was arrested on Aug. 15. 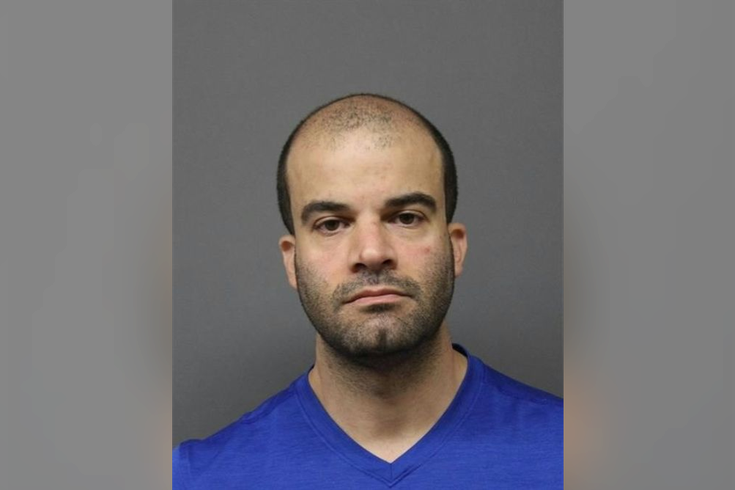 Palisades Interstate Parkway Police Department chief Michael Coppola, 43, resigned this week after he was caught allegedly buying cocaine and having it shipped to a personal mailbox. Coppola, who resigned Aug. 15 according to NJ.com, comes off of a suspension this summer after the Bergen County Prosecutor's Office released a damning report about the New Jersey highway police department, revealing that Coppola was encouraging misconduct among officers. The report detailed instances where police chased people needlessly or without permission and gave rewards to officers (including a $200 meal voucher) who wrote the most tickets or arrested the most people. Many officers also broke protocol when it came to high-speed chases and failed to properly investigate officers who were charged with allegations of misconduct. Coppola was suspended for three months without pay. But less than a month later, detectives placed a package of imitation cocaine in Coppola's mailbox box, and after he suspected it was cocaine that he had ordered online, he retrieved it. He was later arrested on Route 80 in Ridgefield Park and charged with attempt to possess cocaine and having drug paraphernalia, NJ.com reported. A court hearing is scheduled for Aug. 22. Coppola faces up to five years in prison.